I create altered reality images by compositing two or more images in Photoshop. I also use Photoshop to add special effects such as the con trails in this image. 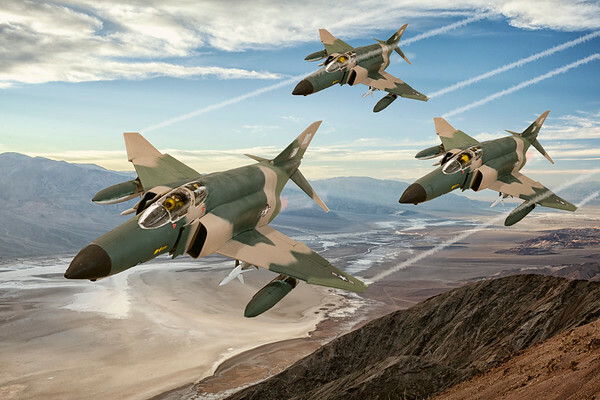 I created this image using a model of an F-4 jet that I borrowed from my friend and put them in an image I made from Donte's View in Death Valley.